This mandala started it all. 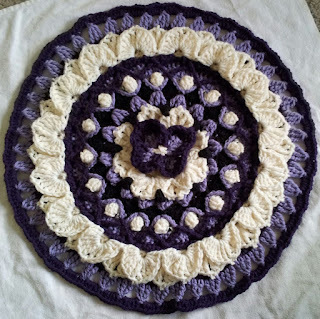 I was browsing crochet sites when I saw the FMS Hope Mandala project. I have a cousin and former co-worker who have Fibromyalgia, and both of them have put up purple butterflies on their facebook pages. As I viewed the mandalas for the project, I wondered where the butterflies were. 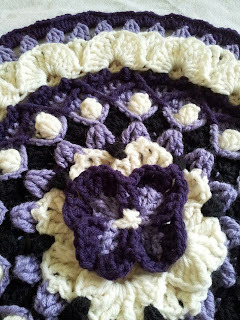 I searched Ravelry for butterfly squares or butterfly mandalas. There are a few, and they are lovely, but the thought struck me that I could make something unique. So, I wanted to crochet a mandala with a butterfly at the center. I double-checked that purple butterflies are representative of fibromyalgia (via google), and they are... but I discovered that butterflies weren't only used for fibromyalgia, but for cerebral palsy, epilepsy, autism, Down's syndrome, spina bifida, cystic fibrosis... the list goes on... this is what started my butterfly projects and I hope to continue making squares and mandalas until I create something unique for each one. Rhonda's Butterfly Lotus Mandala is named after my cousin. The butterfly is purple for fibromyalgia. The exact cause of fibromyalgia is unknown. A portion of the sales for this mandala will go to a non-profit dedicated to fibromyalgia research and awareness. You can purchase the pattern on my Ravelry page. 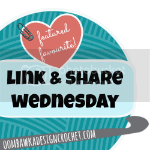 The pattern includes an extra optional finishing point, is 240 sts in its final round (so it can be squared off with Part 4 of Sophie's Universe), and has been tested by six wonderful Ravelers in the Free Pattern Testers Group. I hope you enjoy my latest creation!